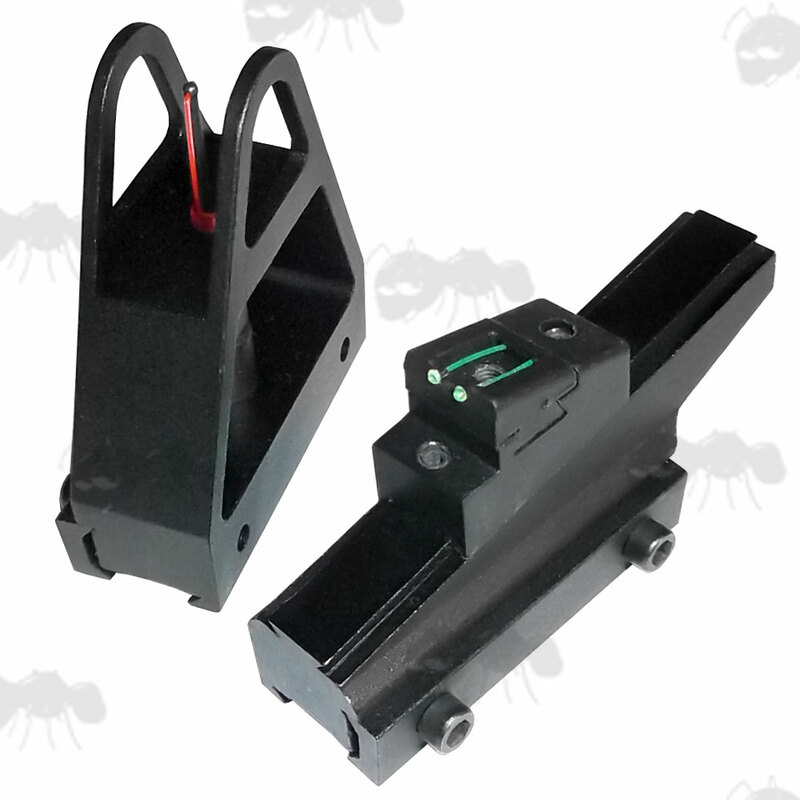 For airgun, rifle and air soft use. Fits 9.5 to 11mm dovetail rails. 45mm long base rail fittings. The pair weighs 73 grams. The front sight is 54mm high overall. The rear sight adjusts from 29mm to 36mm high. Two allen head bolt fit the sight to the rail and another two allen head bolts allow the adjustment of elevation. 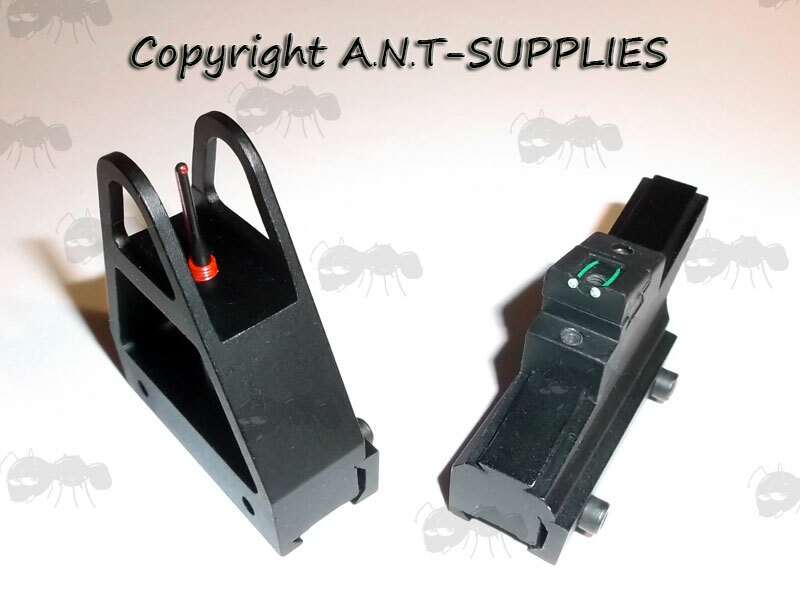 Also available ~ Airsoft Ironsights.